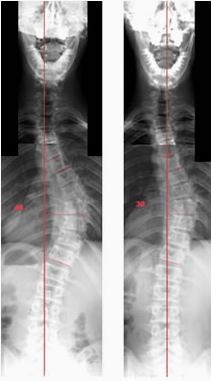 Brent is a 16 year old male Risser III presenting with a 48º primary thoracic scoliosis. 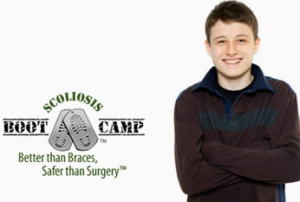 Following the Scoliosis BootCamp program, he was able to reduce his scoliosis to 30º. He has been prescribed a home care program consisting of auto response training using a TorsoTrainer™ for twenty minutes three times daily for four months. The probability of long term success with his case is high due to his age and initial reduction level.